Gamification is a surging trend that is gaining popularity quickly among the digital world. Adding game-like features to real-life tasks and projects is quickly becoming a common occurrence in businesses and workplace environments. According to Gartner, “Serious gaming simulations and game mechanics such as leaderboards, achievements, and skill-based learning are becoming embedded in day-to-day business processes, driving adoption, performance, and engagement.” And gamification is expected to be a daily part of normal life by 2020. While gamification is a fairly new trend, it has some unusual aspects to it. In this article, we will take a look at a few of the unusual gamification implementations into digital life examples. Can gamification of digital features change brain chemistry? Researchers at Stony Brook University seem to think so, although they don't portray the gamification in completely positive light. Bioethicist and researcher, Dr. Stephen Post, shared findings that stated that children’s brain chemistry changed due to the gamification of several digital aspects- mobile apps, websites and gaming. Video downloading is a huge trend all on its own. If you perform a Google search for "how to download YouTube videos," you will find billions of results. That's right- billions. But to make it more fun and exciting, gamification has been introduced to the trend in the form of 4K Video Downloader, which offers a hierarchical achievement level format that rewards users that download specific amounts or specific types of videos. One of the largest cloud computing providers, Dropbox, joined the gamification fun when they announced the "space race," which pitted schools against other schools to determine which school could sign up the most students. Dropbox gave out free cloud space and in return gained a huge number of customers. Daring to break out of the norm, and make something that could be challenging into something fun turned out to be rewarding for students, as well as Dropbox. Unusual, yes — but it makes learning fun. 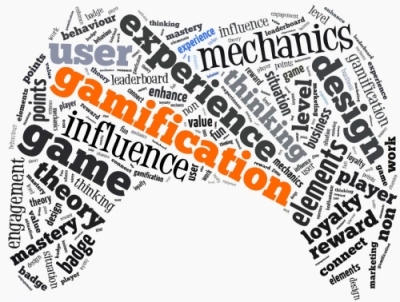 Gamification: will it be a short-lived trend or fad? Or is it here to stay, making our digital lives more rewarding and fun? Only time will tell, but for now, let's enjoy the craze- life should be fun!